This is best template, easy to use and very impressive!! Great buy! Hi i just bought the template number 59267 for a client who have a restaurant and it&#039;s wonderful! The template I&#039;ve recently purchased is a responsive template for italian foods. It is very easy to customise and make it unique. Also it is so simple to use and practical when you often have to modify and add some promotions. 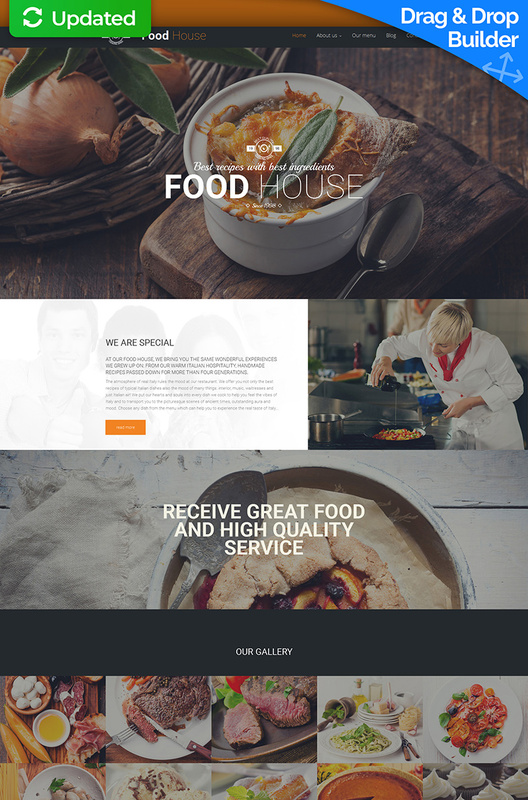 The three most important factors in choosing this template are the text style, that is a responsive template and the look of menu and buttons. I am a webmaster so i do have skills in programming but my customers don&#039;t and some of them wants to be able manage their website on their own so that&#039;s why I chose Moto CMS 3. My client is very satisfy with the template because it&#039;s very easy to use and understand. My client speciality is sushi restaurant. The adress will be restaurantbarracuda.ca To improve this template i suggest you to add a reservation form like bookenda that allow you if there is availabilities. For sure i would recommend this product for a novice client and if he has skills in graphism it would be awesome. i often contact the support service and the service i received is always A1. They help me with my technical problems or questions.